bread cutlet recipe | crunchy vegetable bread cutlets recipe with detailed photo and video recipe. 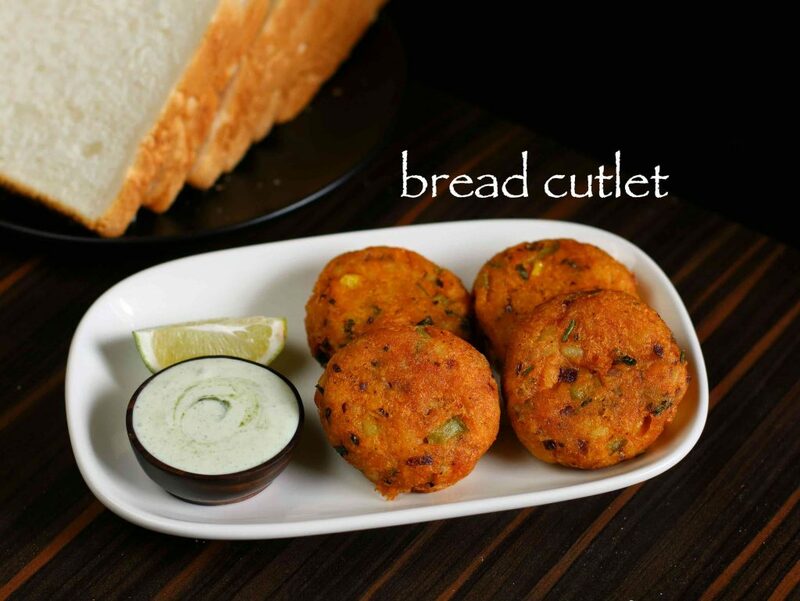 a simple deep fried snack prepared from bread crumbs and boiled vegetables with lip smacking spices. it is an ideal party starter or a appetizer which can also be served as side dish or evening snack with cup of masala chai. 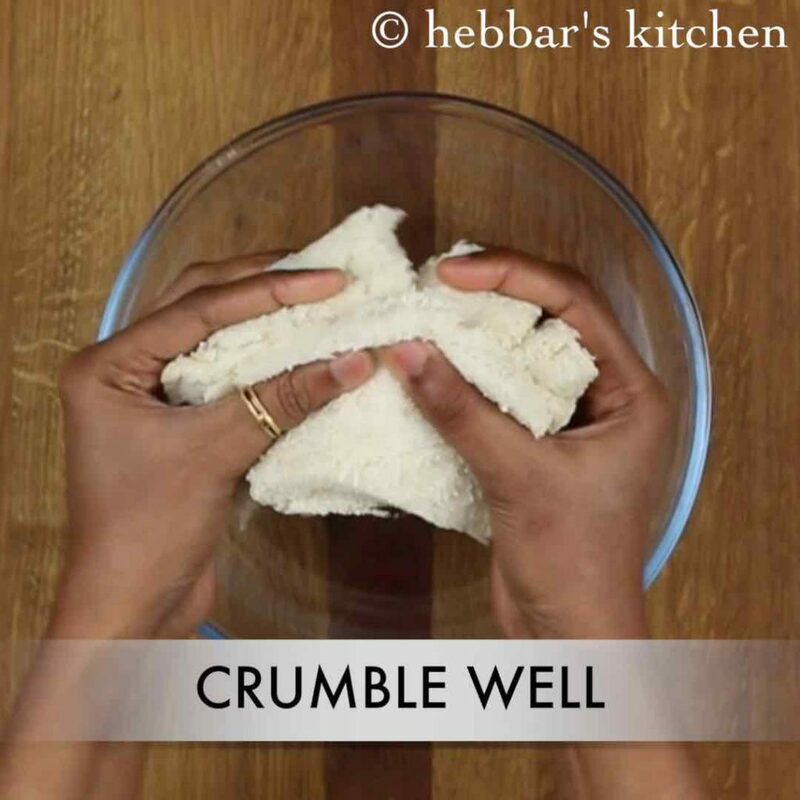 bread cutlet recipe | crunchy vegetable bread cutlets recipe with step by step photo and video recipe. basically it is prepared very similar to any other cutlet recipes but with bread slices as a main ingredient. 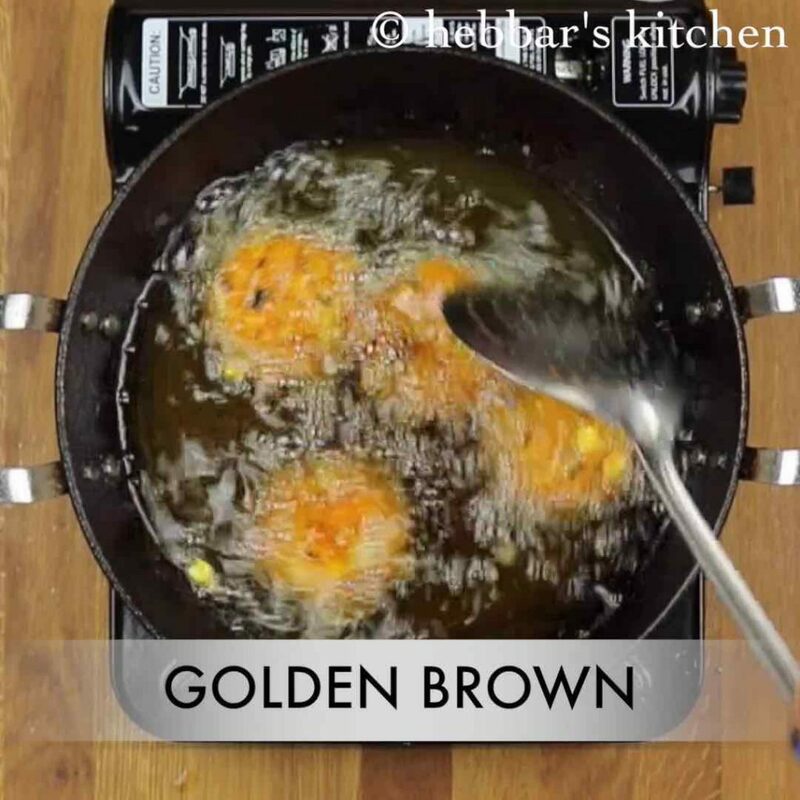 the cutlets can be prepared either by deep frying or shallow frying. however in this post lets learn how to make the delicious and crispy deep fried bread cutlet recipe. i have shared quite a few bread recipes till now, primarily the bread roll recipe and cheesy bread rolls recipe. 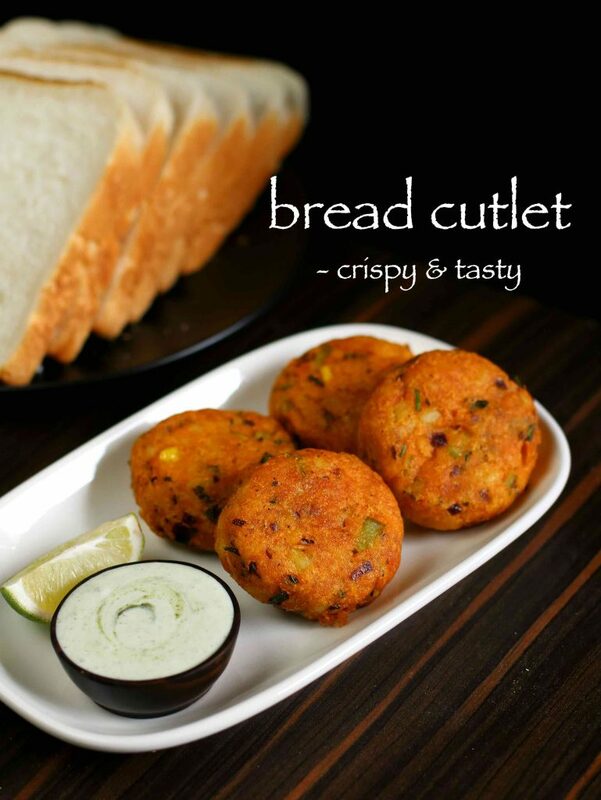 this veg bread cutlet recipe follows the same procedure and ingredients. 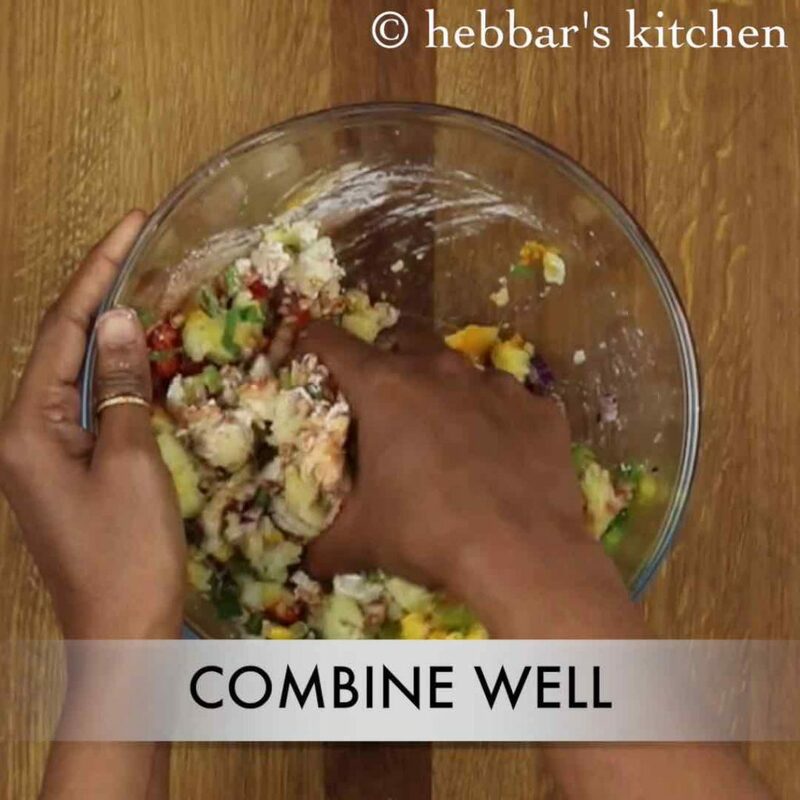 but in this recipe, the bread slices are mixed with vegetables rather than stuffing it inside bread. these crunchy vegetable bread cutlets can also be used as patties and can be sandwiched between bread pav or burger pav. i personally prefer this way, but it tastes amazing by itself with green chutney or maggie tomato ketchup. 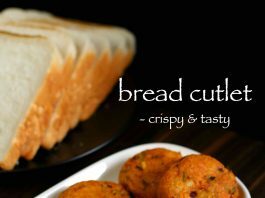 while there isn’t much complicated steps in bread cutlet recipe, yet i would like to mention some tips and recommendations. firstly, i have used normal white bread or sandwich bread slices in this recipe. alternatively, brown bread or even multi grain bread can also be used. secondly, try avoiding excess water while preparing the cutlet dough. the moisture released from the boiled potato should be sufficient. lastly, do not leave any gap while shaping the cutlets and try to form a smooth surface. otherwise, the bread cutlets may break while deep frying. 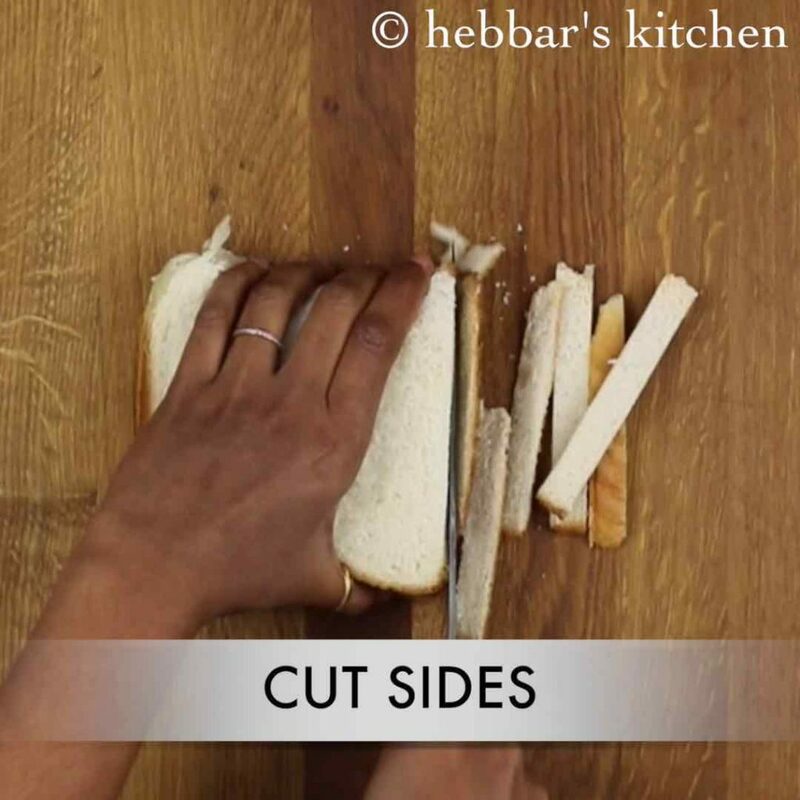 firstly, cut the sides of bread. use any bread of your choice. further, crumble the bread slices as small as possible. furthermore, add all the vegetables and spices. 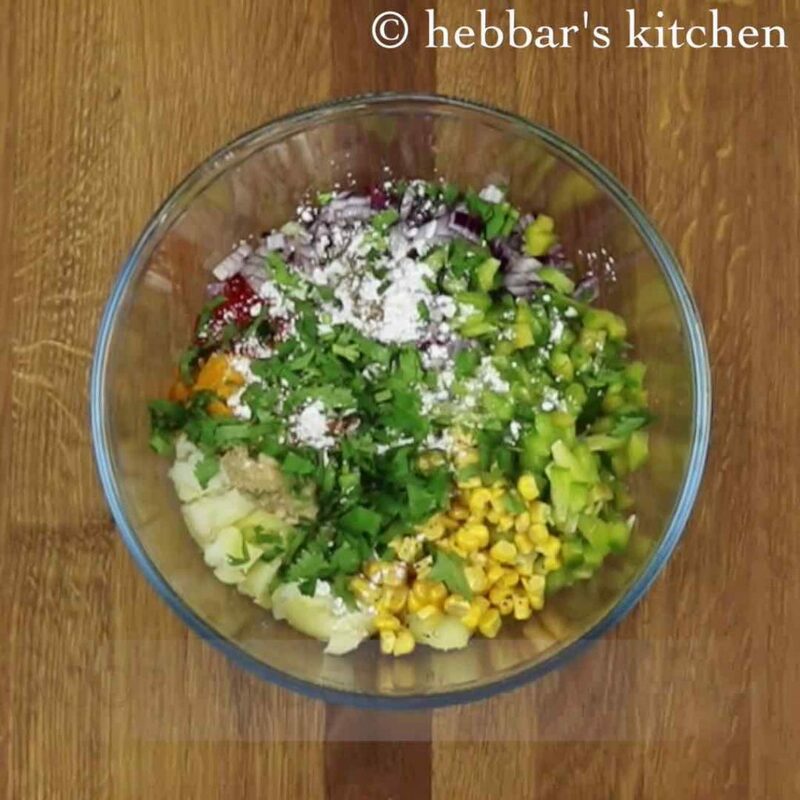 additionally add 1 tbsp corn flour, 1 tbsp lemon juice and 2 tbsp coriander leaves. combine well to form a dough. add in more bread or bread crumbs if there is to much moisture. 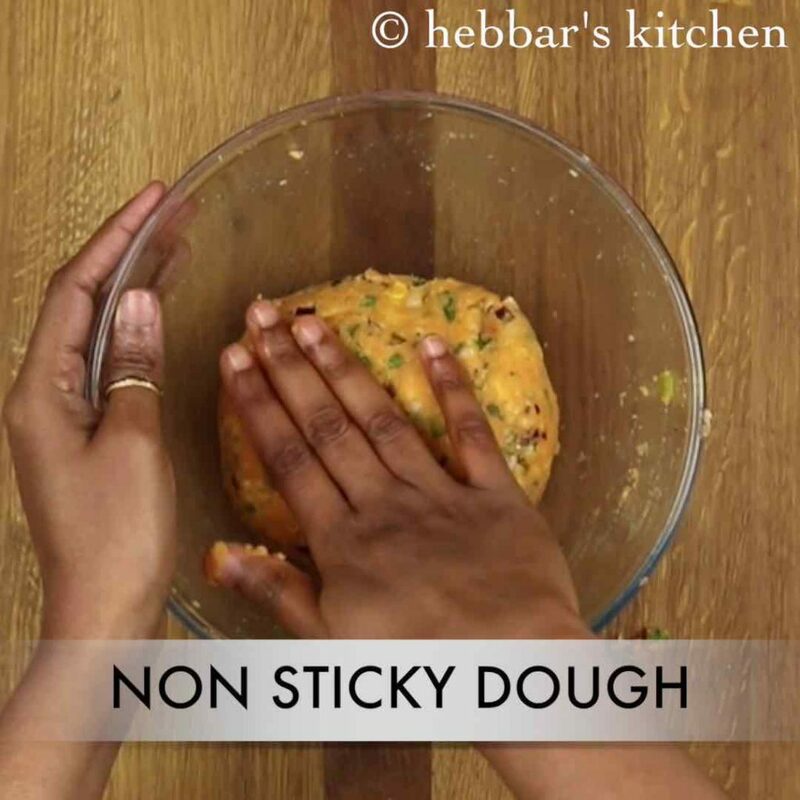 make sure to have a non sticky dough. further, make round shaped cutlets greasing hands with oil. as they help to prevent from dough sticking to hands. deep fry them into hot oil. alternatively, bake them or pan fry if you are diet conscious. 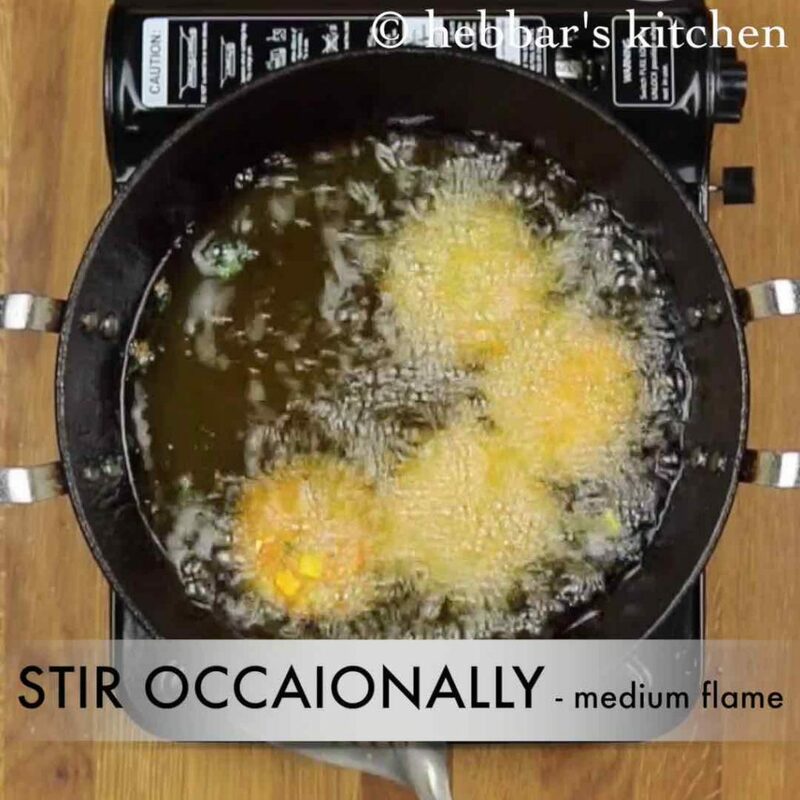 stir occasionally without breaking the cutlets. further fry till the cutlets turn golden brown on medium flame. finally, serve bread cutlet with tomato sauce and few slices of onion. 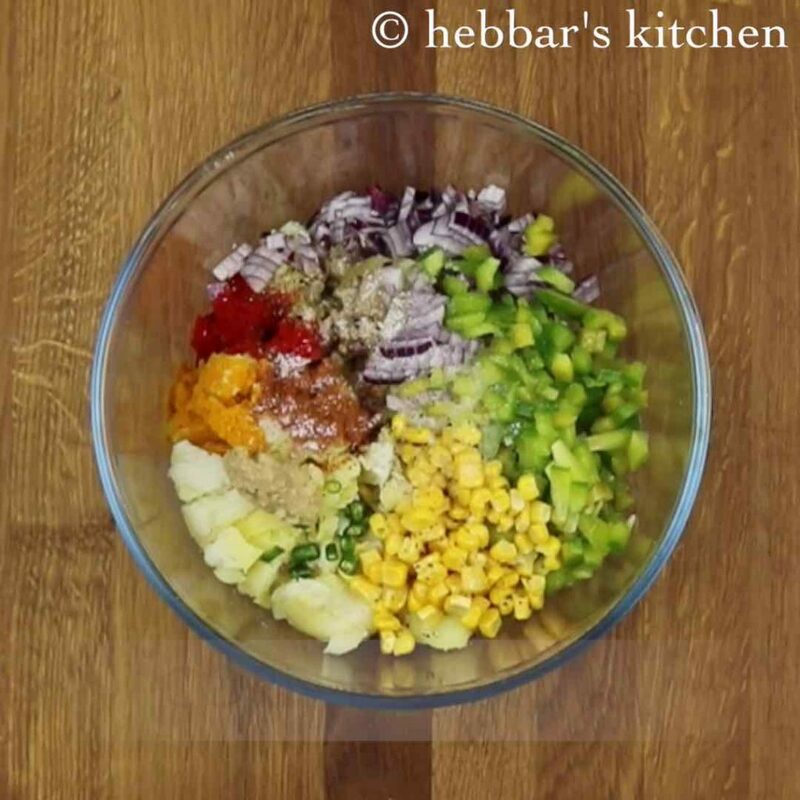 furthermore, ½ onion, ½ capsicum, 2 tbsp corn, 1 green chilli and 1 tsp ginger paste. 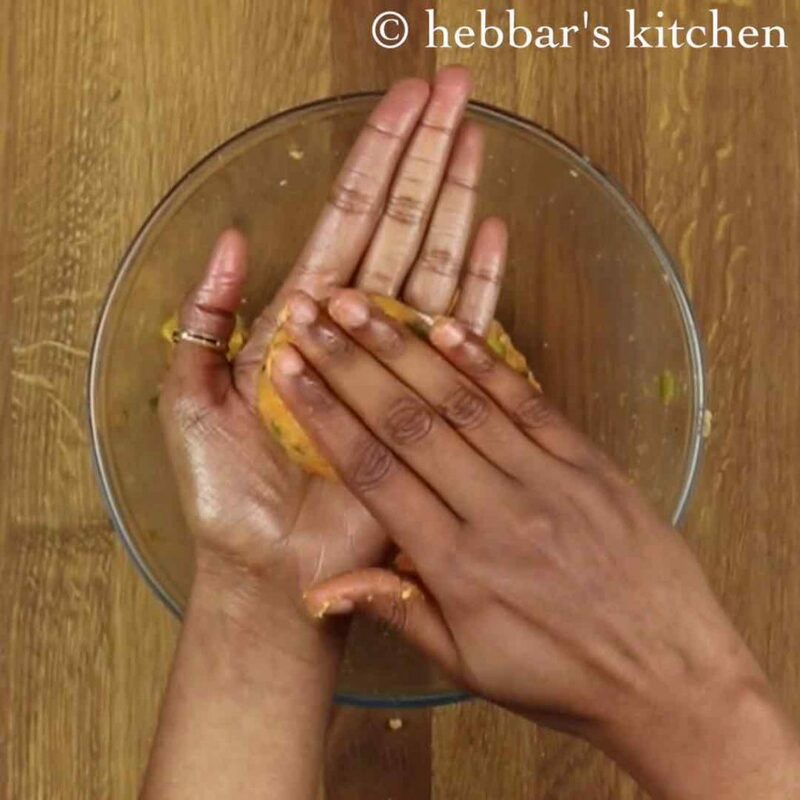 also add in ¼ tsp turmeric, ½ tsp chilli powder, ½ tsp garam masala, ½ tsp chaat masala, ¼ tsp pepper and salt to taste. 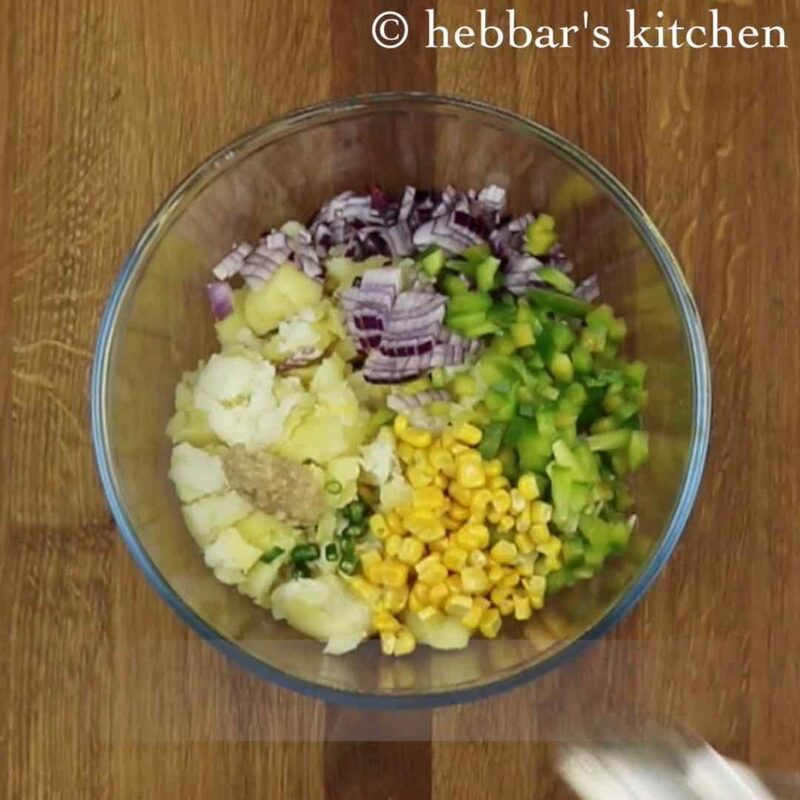 firstly, add any vegetables of your choice to make it more nutritious. 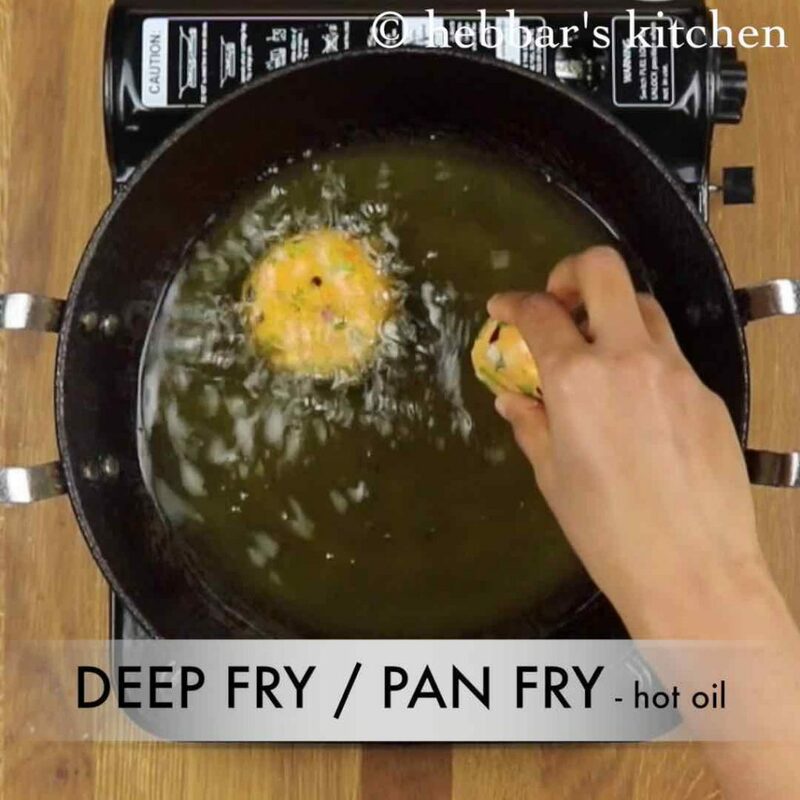 also, refrigerate the dough for 15 minutes, before frying to avoid cutlets from breaking in oil. additionally, adjust the amount of green chilli if you do not like spiciness. finally, crispy bread cutlet taste great when deep fried as they turn crunchy from out. Hi Akka naanu Swathi..naanu Mangloor navalu.. Nimma Ella post chennagide .. Neat aagi acchukattagide..idu kooda chennagide..thank you..
Really so nice . I’ll try definitely. I really find your cooking methodology very simple and well explained.I m not a good cook but I m sure your lessons on cooking will make me a great cook.can you give me recipe on burger. This was awesome, I tried and it came out exactly in the same shape, colour and the taste was lush!!! Thanks for bringing such beautiful recipes! !